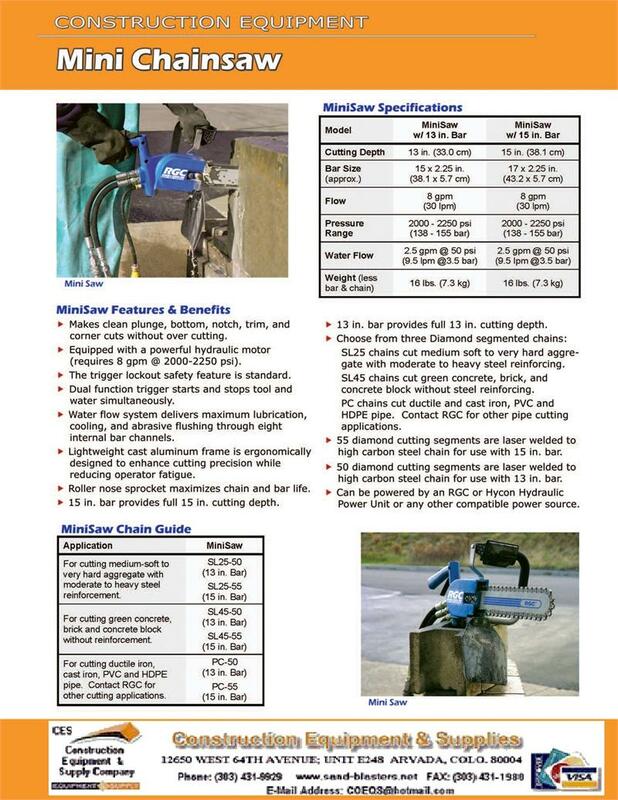 The Reimann & Georger C50 MiniSaw is the newest product in our line of hydraulic concrete cutting saws. 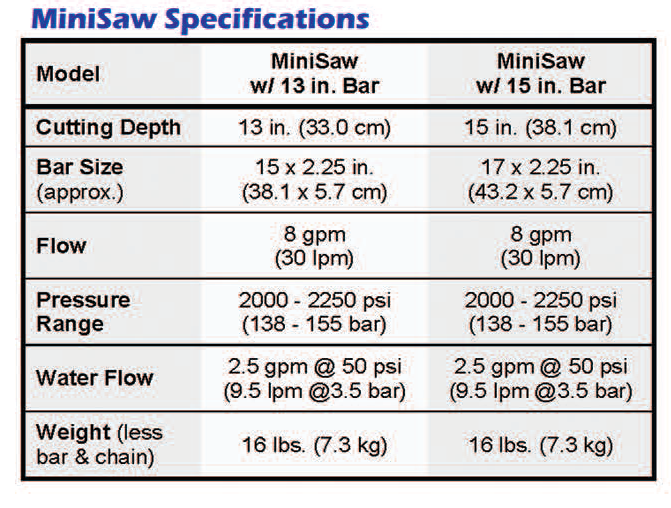 Because it is about 1/3 the weight of a full size chain saw it is the lightweight, portable answer for the contractor with quick or sporatic cutting jobs. 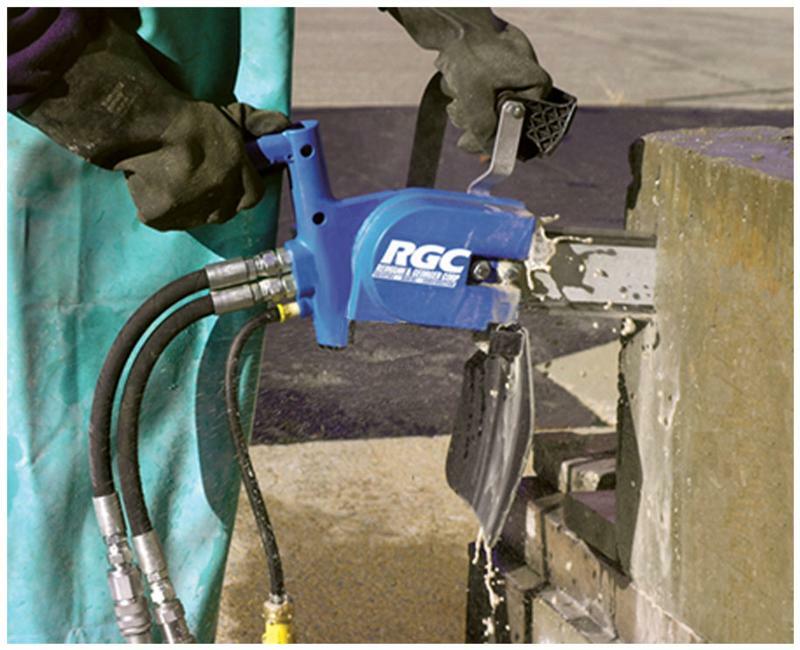 The versatile Reimann & Georger C50 MiniSaw makes clean, fast, precise, and straight cuts through concrete, reinforced concrete, masonry, stone and various aggregates. 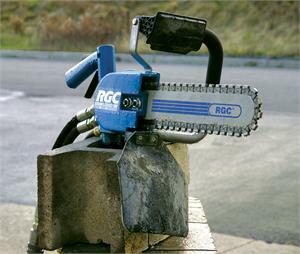 The RGC C50 MiniSaw can be run from an RGC HydraPak or any other compatible hydraulic power supply. 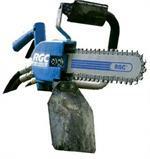 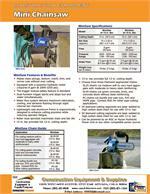 It is the ideal tool for any contractor working with concrete. 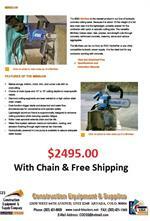 Choice Of Two Diamond Segmented Chains For A Wide Assortment Of Materials. 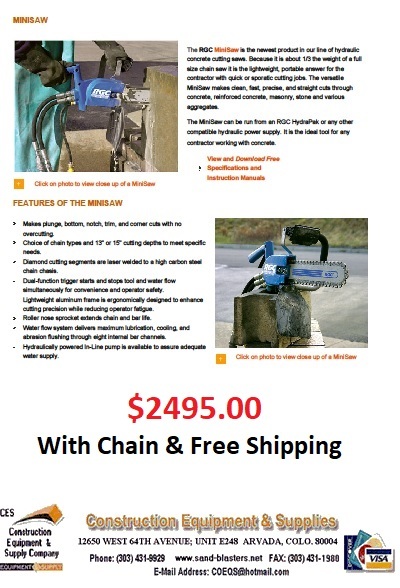 The 50-S (SL25-50) Chain For Cutting Hard Or Very Hard Aggregate With Heavy Steel Reinforcing To Cutting Medium-Soft To Medium-Hard Aggregate With Moderate Steel Reinforcing. 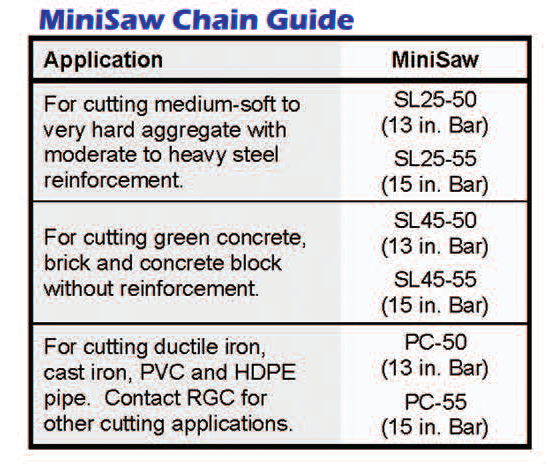 The 50-L (SL45-50) Chain For Cutting Green Concrete, Brick And Concrete Block With Steel Reinforcing.